The 2017 Miracle Challenge was hosted by Pivotal Fitness. Participants were asked to sign up to receive an online fundraising page and in return, they received a free month membership at any of the Pivotal Fitness locations in the Charleston area during the month of May. They have locations downtown, Mt. Pleasant, West Ashley and Summerville. Participants were asked to share their fundraising page with family and friends online. They received an email from Pivotal Fitness every morning during the month of May with different exercises they could choose from. These exercises ranged from walking, running, biking, yoga and boot camp. You could complete the exercises in the comfort of your own home, or you could participate in one of the many classes offered at Pivotal Fitness. This campaign was a success and generated over $4,000 for the MUSC Shawn Jenkins Children’s Hospital. The Caleb Pearson Team was a huge part of this fundraiser as well. They matched dollar for dollar the amount that they raised online along with Todd Sevier from Tabor Mortgage. 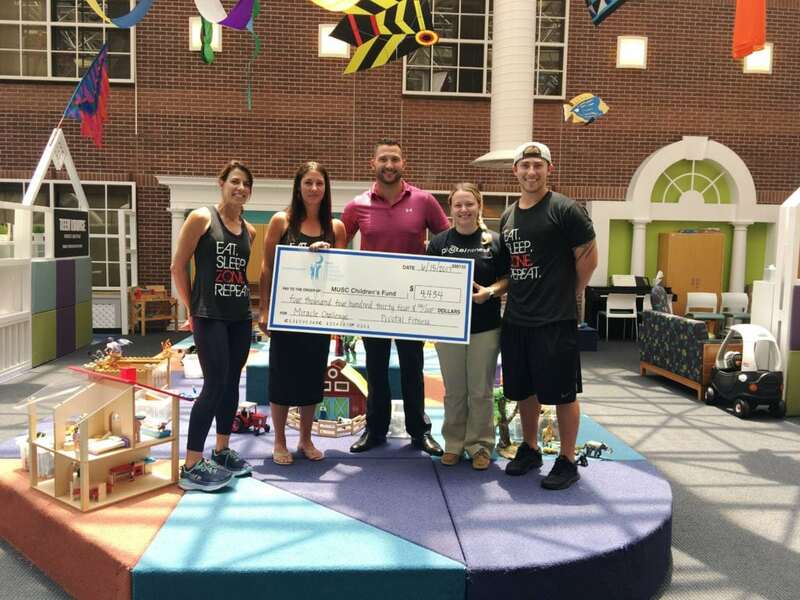 We are grateful for the partnership with Pivotal Fitness to raise funds for kids while also promoting a healthy lifestyle and hope to offer more healthy lifestyle fundraisers in the future.